You are here: Home / News / Car News / 2019 World Car Awards: The winners… and a hat-trick surprise! 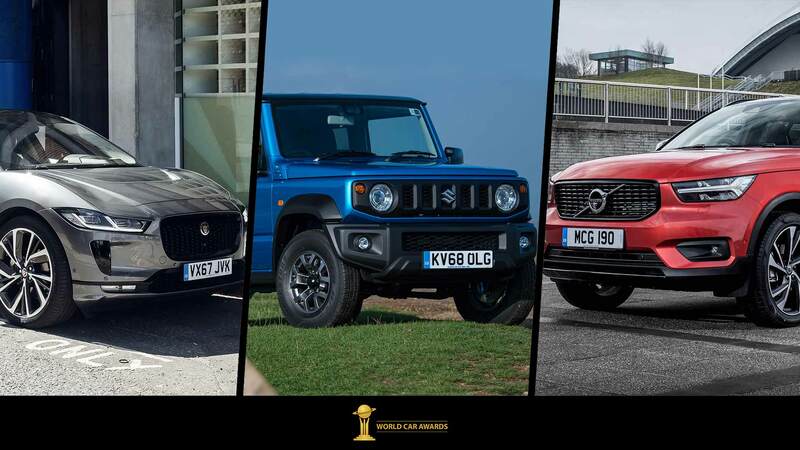 2019 World Car Awards: The winners… and a hat-trick surprise! World Car Awards is the biggest automotive awards program on the planet. 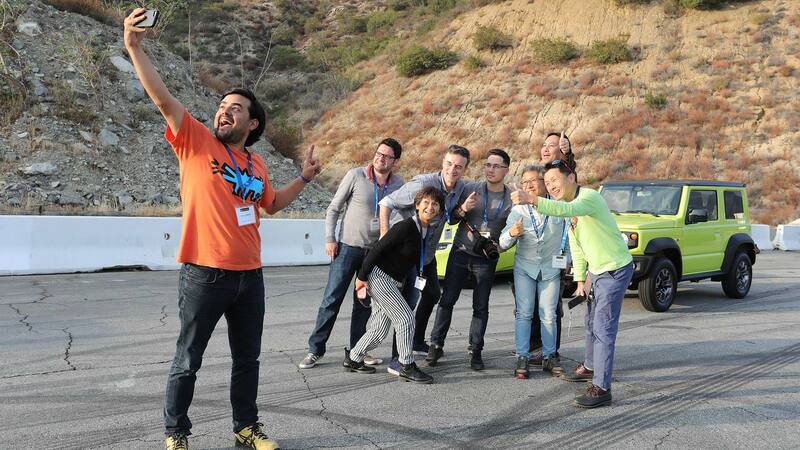 It has the widest reach across the globe and its 86 jurors from Asia, Europe and North America have been busy voting on the best new cars of 2019. 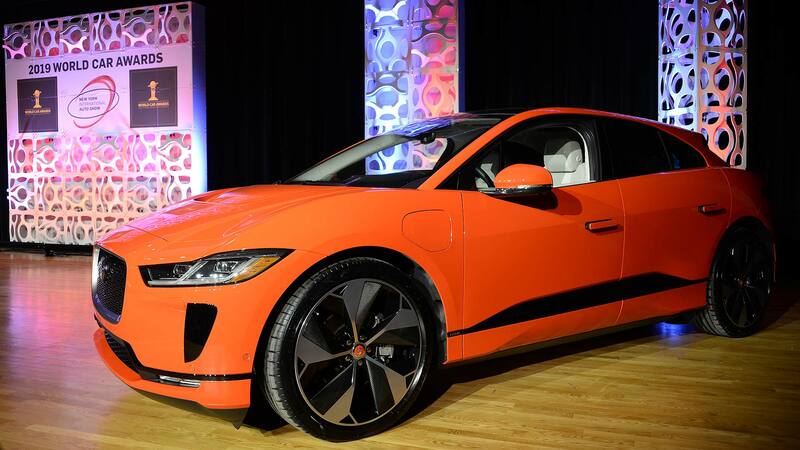 In the opening ceremony of the 2019 New York Auto Show, the winners were revealed – join us to discover the best of the best… and a headline-grabbing surprise at the end! 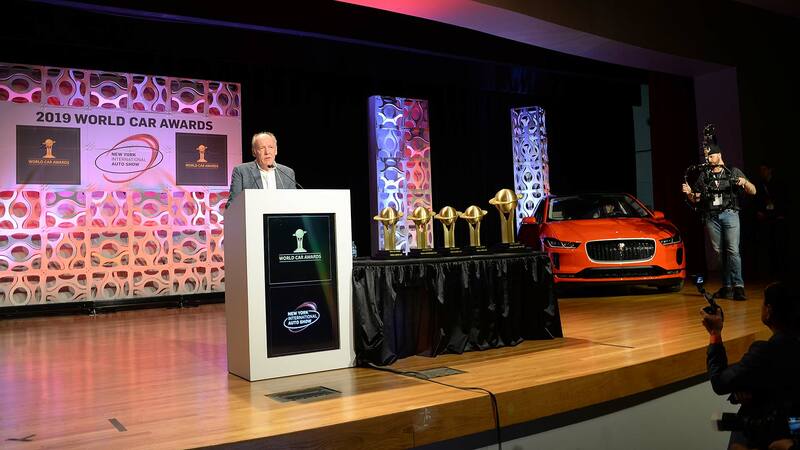 Several rounds of judging have led to the 2019 World Car Awards finals in New York. Contenders were revealed at the 2018 Paris Auto Show and the top 10 finalists were announced in February. At the 2019 Geneva Auto Show, the top three contenders in each of the six categories were revealed: that’s Luxury, Performance, Design, Urban, Green and the overall World Car of the Year. All contenders must be available to buy in at least two continents worldwide. The contenders in the individual categories are just as exciting. Take the World Performance car: in 2019, it’s the punchy Aston Martin Vantage versus the monstrous McLaren 720S and the bombastic Mercedes-AMG GT 4-door Coupe. 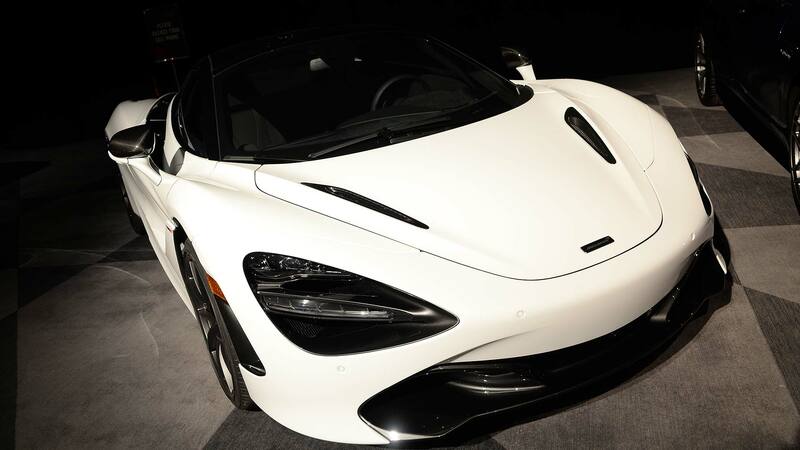 The big Mac won it: the 720 horsepower super-sports car from Woking, England beat its arch-rival from Gaydon, England. Anyone who’s driven this extraordinarily fast and thrilling machine will understand why it’s a deserving performance car victor. 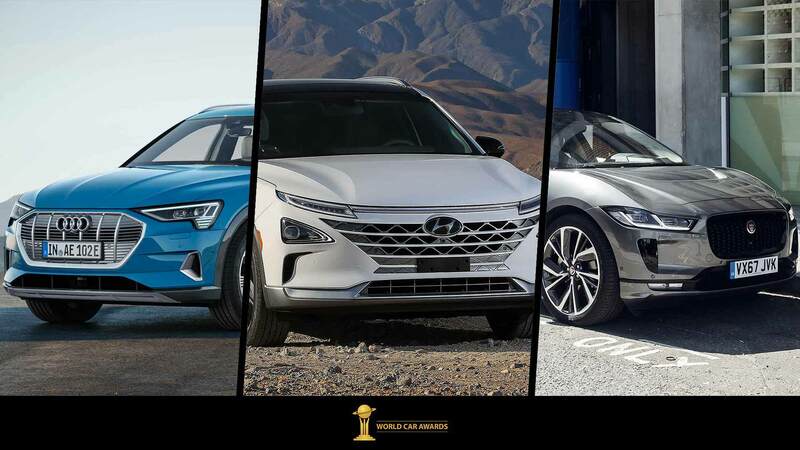 Impressively, two finalists in the 2019 World Green Car Awards are also finalists for the overall World Car of the Year gong. The two electric SUVs from Audi and Jaguar are joined by the hydrogen fuel-cell Hyundai Nexo. 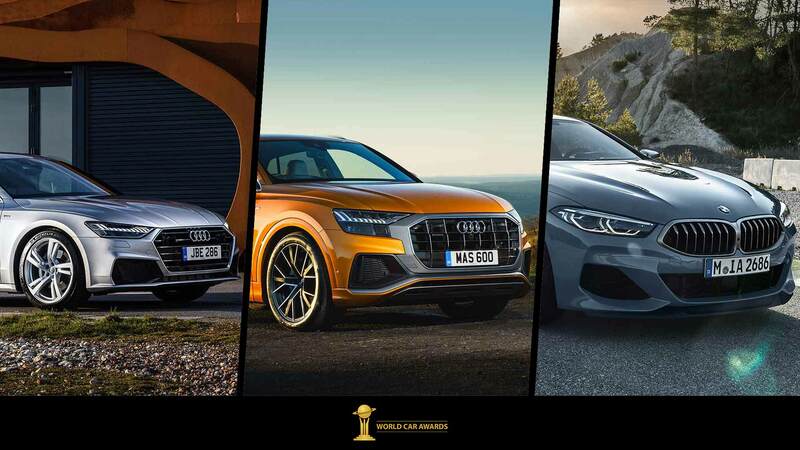 Audi is a key player in the 2019 World Luxury Car prize, with two models, the A7 four-door coupe and Q8 large SUV coupe, taking on the more traditional BMW 8 Series two-door coupe. As in all sectors these days, diversification is the name of the game for luxury buyers in 2019. 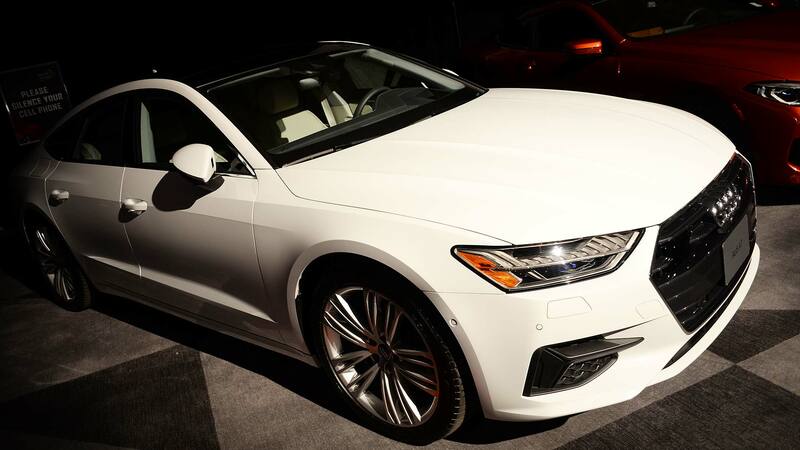 The svelte four-door Audi A7 Sportback took the trophy. 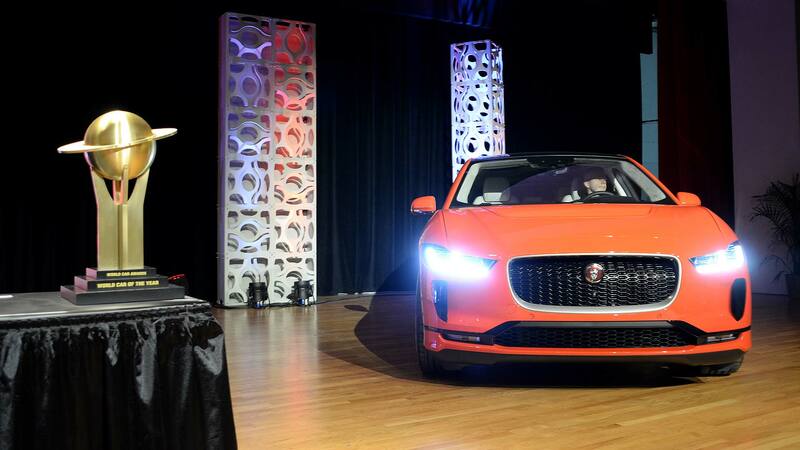 Now in its second generation, jurors felt it honed a successful theme, creating a standout luxury car that’s a bit different, and more of a head-turner, than the norm. Diminutive size, a cheeky character and an ability to make light work of tightly-packed city centres make for a top World Urban Car in 2019. 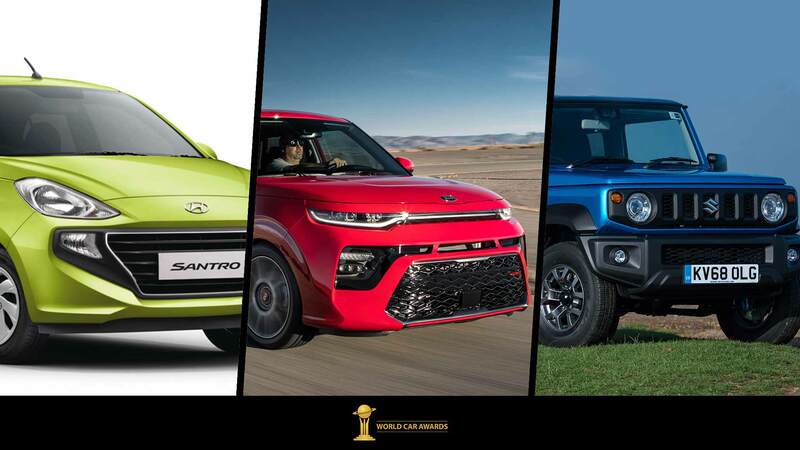 This year, the Indian Hyundai AH2 Santro takes on the Kia Soul and Suzuki Jimny. 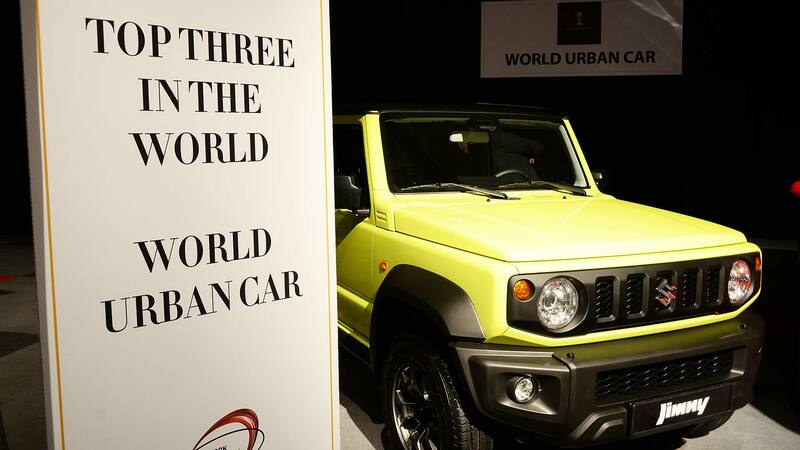 The brilliant little Suzuki Jimny won, to the delight of the Suzuki team who’d flown over from Japan to see the awards. The car’s chief engineer collected the trophy and his beaming smile said it all – this is a small car that offers a different take on compact urban motoring, particularly in narrow-body Japanese ‘Kei car’ guise. It brings a little joy to city streets, and what’s wrong with that? 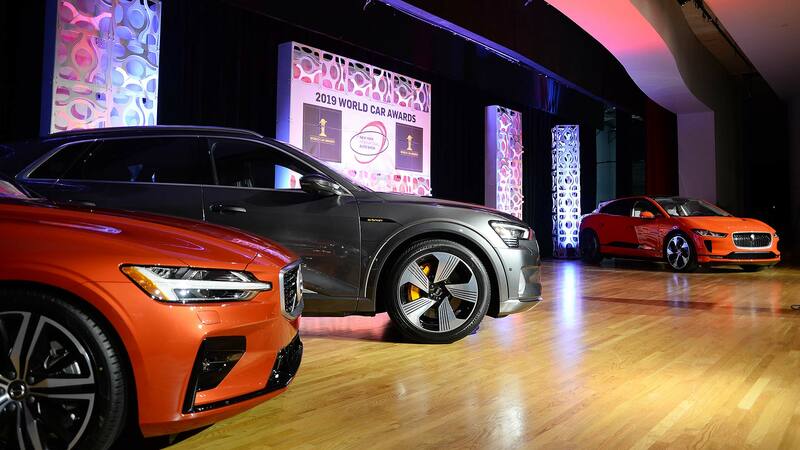 The biggest prize of all is the World Car of the Year Award. 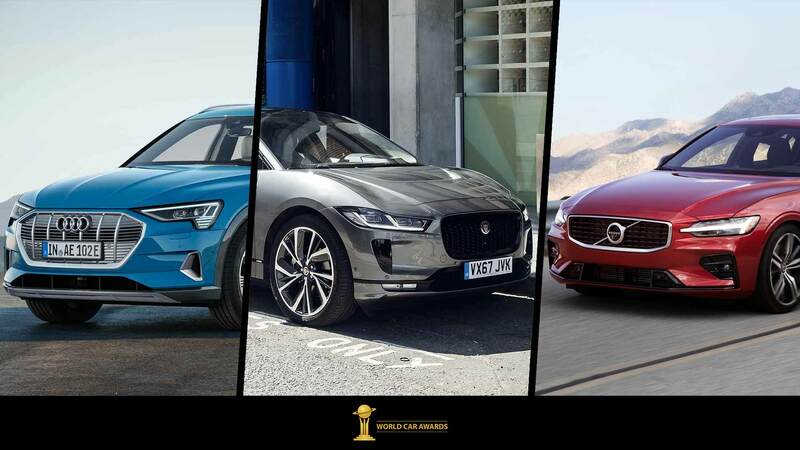 All three 2019 finalist brands are previous winners – Audi in 2014 with the A3, Jaguar in 2017 with the F-Pace and Volvo in 2018 with the XC60. This year, Audi and Jaguar EV SUVs are going up against a mid-size sedan and estate from Volvo. Yes, it was a Jaguar hat-trick! The unprecedented haul of trophies was accepted by a slightly overwhelmed Ian Callum. 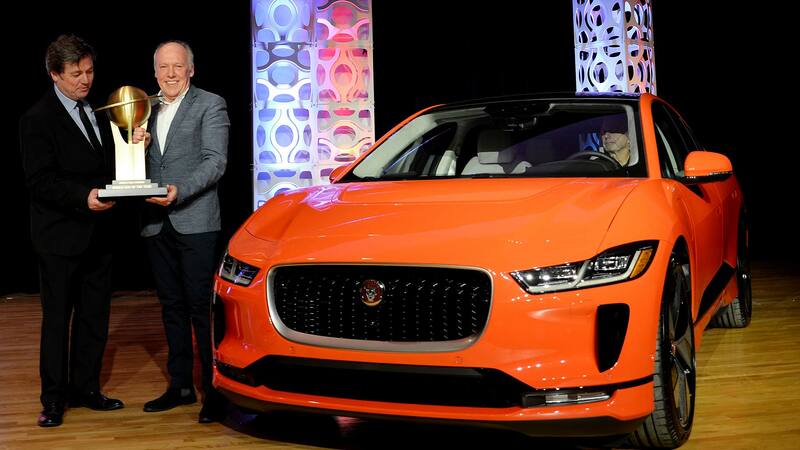 “When we set out to create the I-Pace, I said to my team, ‘Let’s build the best car in the world’. Hey, it looks like we’ve done it! The victory adds to the Jaguar I-Pace’s success in the European Car of the Year Awards back in March. It becomes the first car ever to win both awards at the same time. Bravo, Jaguar! 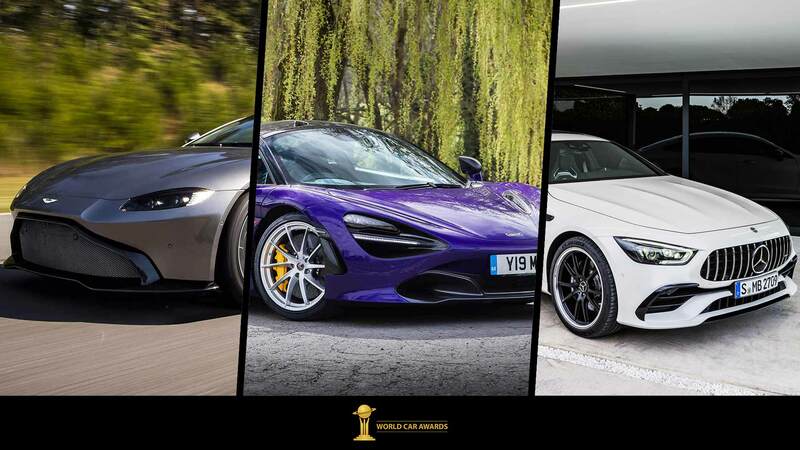 https://www.motoringresearch.com/wp-content/uploads/2019/04/01_World_Car_Awards_2019.jpg 1080 1920 Richard Aucock https://www.motoringresearch.com/wp-content/uploads/2018/12/mr-top-motoring.svg Richard Aucock2019-04-17 14:58:152019-04-17 15:17:162019 World Car Awards: The winners... and a hat-trick surprise!